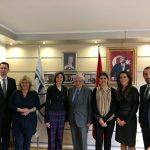 Unico Consulting assisted the Minister of Tourism of Spain and the delegation in their meetings. 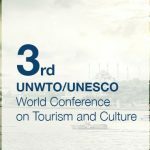 UNWTO and UNESCO are organizing the Third UNWTO/UNESCO World Conference on Tourism and Culture: For the Benefit of All, to be hosted by the Government of Turkey in Istanbul, a UNESCO Creative City of Design since 2017, on 3-5 December 2018. The Conference will build upon the outcomes of the First and the Second World Conference on Tourism and Culture held in Cambodia and Oman in 2015 and 2017, respectively. The Conference is aimed at creating more inclusive partnerships between tourism and culture stakeholders that contribute to the implementation of the Sustainable Development Goals and at promoting tourism development that encourages cultural interaction and ensures benefits for all communities involved. Organized by TÜYAP Fairs in partnership with the Turkish Publishers Association, the 37th International Istanbul Book Fair will be held between Nov. 10 and 18 at the TÜYAP FairCongress and Convention Center in Istanbul’s Büyükçekmece district. 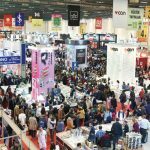 More than 800 Turkish and foreign publishers and nongovernmental organizations are expected to take part in the fair, with a host of events, workshops for children, lectures by authors and thousands of autograph sessions bringing writers together with their readers. 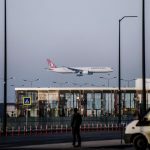 First Flight from the new Istanbul Airport departed to capital Ankara on 31st of October. 340 passengers on 777-330 Boing travelled from Istanbul to Ankara. Turkish Airlines will fly to Antalya, Izmir and Baku, beside Ankara and Ercan as part of the first stage of migration from Ataturk Airport. Built by a consortium of 5 contractors, Limak, Kolin, Cengiz, Mapa, Kalyon, the project has ben carried out through a BOT model. It will provide out 26 billion Euros of revenue to the government.